From the moment you are brought into the world, you develop relationships – with your parents, siblings, near and distant relatives, students, spouse, friends, co-workers… the list goes on. 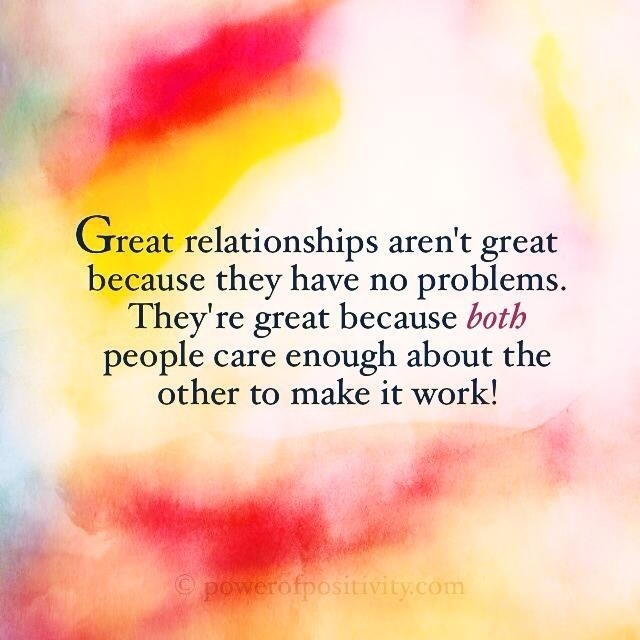 Something else that we all have in common – we want to have healthy and happy relationships. You desire to have people in your life that appreciate who you are and to whom you can reciprocate those feelings. As you mature, you begin to realize the close connection that we have with our fellow human beings. This deep, personal connection that we establish with each other makes us unique and truly fortunate beings. As with nearly everything else that exists within the human existence, relationships are also complex and diverse – good or bad, deep or distant, intimate or friendly, and even loving or hateful. Here are 11 things that you can start doing to make your relationships with others more accepting, trusting, peaceful and loving. Genetic makeup is complex and certainly beyond the scope of this article. Suffice to say, human beings are amazingly different. We come from different places; have different personalities, minds, character traits, beliefs, and behaviors. We look different, act different, talk different and live different. So, why is it that many are still so unaccepting of other people? When will we realize that diversity contributes to the fabric of our society and is not a burden, but a strength? By accepting people as they are and not trying to change them, you are indeed contributing to the peaceful and healthy existence of our world. Accepting yourself is just as important as accepting others. There is no need to act differently than how you are designed or how you wish to act. When others make a joke at your expense for being different, make a joke about them trying to be like everyone else. Conformity is not strength, but a weakness of character. You cannot and will not impress everyone, nor should you make the attempt. You are not designed to befriend everyone around you, only those who truly deserve your friendship. In our society in can be especially difficult to be non-judgmental when it comes to others. Just remember, everyone has a past and nobody can change the hand that they were dealt in life. The beautiful thing is that everyone you meet has a unique story to tell. This story may be happy, sad, extraordinary or typical. But one fact remains: you should give everyone that you haven’t gotten to know a fair chance, without judgment and without criticism. Not everyone deserves your respect but you deserve to give it regardless. You give respect because it’s ingrained in your character to demonstrate your strength of character to your fellow man, not necessarily out of their virtue, but your own. By accepting people who are different from you, you are showing respect – respect for their differences both good and bad, respectful for their presence, and respect for their rightful place among the rest us. Perhaps nothing strengthens relationships more than being honest with everyone. On the flip side, perhaps nothing weakens (even ruins) relationships more than being deceitful. This includes any kind of “white lie” or any other method of clouding the true meaning behind your words and actions. If you promise something, keep your word – at home, work, or anywhere else. Don’t create a slippery slope of telling mistruths however “innocent” they may be. The important thing is that you know the truth and its importance. Forgiving someone is much easier than living with disdain or hate in your heart. It is as much, if not more, about your mental wellbeing than it is about disregarding someone’s affront, however severe it may be. Forgiveness is important because it opens your heart and mind to placing trust in others. Having unresolved problems with someone else can lead to the misplaced conception that people as a whole cannot be trusted. Don’t undeservingly do this to yourself or anyone else. Not everyone you associate with or who you consider “a friend” are truly your friend. As with many aspects of our outlook on life, recognition and appreciate of true friendship grows as we mature. We place less emphasis on having a wide circle of friends and more on the depth of those friendships. You will recognize your true friends in how steadfast they are in remaining by your side. Be loyal to the people who matter to you the most, including your real friends. Loyalty is not so much about being inseparable as it is being true to those that matter the most to you, regardless of circumstance. As with having real friends, having those who are truly loyal to you is an incredible gift. If you are loyal to people, many times this loyalty is returned in favor. As you move on, live your life and experience new adventures, there are going to be times when remaining in touch with those you love and care about becomes difficult. Despite this difficulty, you should make the attempt to stay in contact with those who love and care about you. This can be as simple as a text message or an email – both show that you are thinking about the person. As the old adage goes: “it’s the thought that counts” and this is certainly true in the relationships that matter the most to you. Many people nowadays both give and accept promises in more of a casual, uncertain manner. Make no mistake – promises are sacred. Basically, you are giving your word while putting your character on display for someone else to critique. You need to keep your promises as much for your own sake as for the individual to whom you gave your word. Remain mindful of the promises you make and the effects that delivering, or not delivering on your word has in how people view your character. We rarely lose our real friends and lovers; rather we recognize who the real ones are. When someone departs from your life, there is probably a reason that their role in your life story is over. When people walk away from you, let them walk. Another special and true relationship is waiting out there for you to discover.